14 years ago tonight (2001) – Mariusz Czerkawski scored two goals and Tim Connolly added four assists as the Isles earned a split of a home-and-home series with a 6-5 win over Pittsburgh on Bill Torrey night. Czerkawski scored the Isles’ first two goals but each was answered by a tally by Mario Lemieux. The Isles built a 5-3 lead early in the third period; Mark Parrish later offset former Islander Martin Straka’s second goal of the game. It was the only 4-assist game of Connolly’s career, and came nearly four months before his 20th birthday. This made it one of only six 4-assist games by an NHL player before his 20th birthday since 1987.
these, and when I'm done with them, I can just fold them up and put them in my pocket. 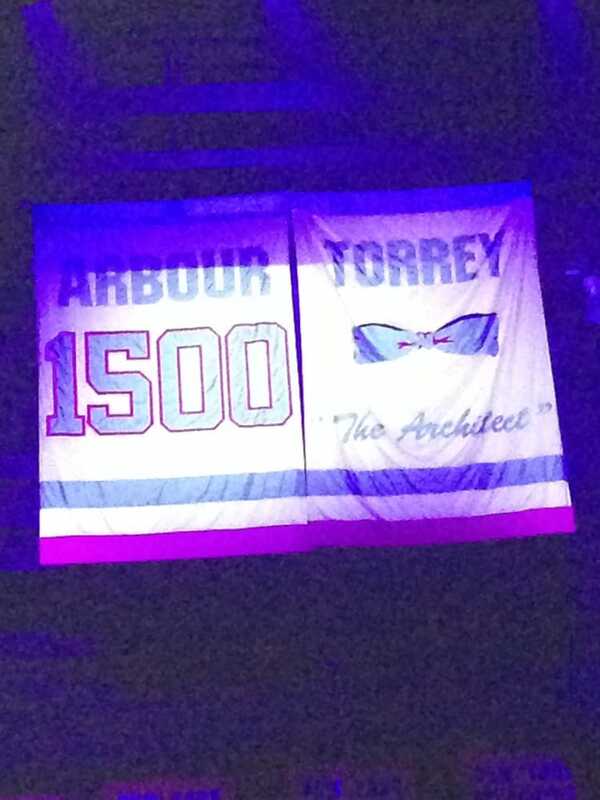 Torrey's banner hangs side-by-side with Al Arbour's 1500 banner today. Also on this date: (2007) – Miroslav Satan scored the tying goal with 0.7 seconds to play but Scott Gomez scored in overtime as the Devils defeated the Isles 2-1. Also on this date: (1981) - Mike Bossy scored three power play goals and then added an empty-netter to complete a four-goal game, giving him 45 goals in the Isles' first 46 games as the Isles defeated Pittsburgh 6-3. All-time, the Isles have played eight January 13th games at the Coliseum and finish with a 4-2-2 record on this date at 1255 Hempstead Turnpike in Uniondale.